Davao City Mayor Rodrigo Duterte is the only presidential candidates for 2016 polls who has so many volunteer supporters. That's why he became phenomenal not only in Davao City but also in cyberworld. And to probe that, Mayor Duterte is one of the top 'male personalities' trending searches in Google for 2015. Mayor Duterte has so many solid and diehard supporters but there are people who are anti-duterte. They are good for giving a bad impressions to mayor's image. He said, "We are acting like one big family. And Mayor Duterte is the father of this collective free will that joins together to shout one goal, this is our demand for REAL CHANGE." We have been branded many names. To give a few, we are referred to as Dutertards, idiots, morons, etc. Other factions also claim that we are violent and we are quick to outburst. Thus they are using our reactions to different issues against the person we support, Mayor Duterte. But why do most of us act this way? Why are the DDS always emotional in situations that involve the name of Mayor Duterte? Are we really transforming him into a deity and worship each move he makes? Or is there something else that defines the Duterte Diehard Supporters? To be frank and honest, we are indeed different from other factions, we act differently, we think differently (sometimes not in a good way). But this is not blind loyalty. As a matter of fact, there is a certain unit in society that we actually emulate in how the DDS community operates. We are acting like one big family. And Mayor Duterte is the father of this collective free will that joins together to shout one goal, this is our demand for REAL CHANGE. Yes, we are one big family. And this is the reason why we act the way we act in public forums and articles that has the name of our Tatay Digong in them. Let me explain further why. A good father, no matter his flaws are, is always accepted wholeheartedly by the children. We know he is not perfect, but at the same time he can teach us how to live our lives. We accept him for what he is and know that he has far more great qualities that greatly outweigh his negative attitudes. As a matter of fact, we see his flaws as a natural human behavior that clearly defines him as one of us. He is not God. But he is our father in this mortal realm. And since a children know the father more than others do, the children are also the first to defend the father each time the father is attacked unjustly. The children try to explain why the father acted this way. The children try to show everybody else that the father is unique and has his own way of instilling discipline and lesson. The children understand and want others to do so as well. At the same time, these children are the first to be offended if the father is accused of something he is not. The children see the attacks as an outright insult not just the father but to the family as a whole. And since this is an attack on the DDS family itself, every member feel compelled to defend the family and so we retaliate. And nobody needed to tell us to defend the family. We know that we need to do so with our own freewill. This is our difference from other groups. They are political parties here only to be part of the election. We on the other hand are a family, ready to stick together through thick and thin. We are willing to support and volunteer for whatever this family is trying to do. We are one. So the next time somebody attacks our family, stay calm. No matter what page you are in social media, rest assured that you are not alone. Your siblings in the DDS family will come and help. 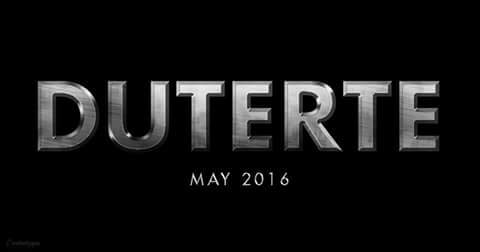 And do not forget that we are doing this because we know Tatay Digong is the right one to lead this broken nation. We outnumber them. So do not get mad right away. Take comfort in the fact that after a few moments, other DDS will be there to support your stance. Do not hurl insults. Just show them that we have sheer numbers on our side. And no matter how stubborn they are, they will never be able to win against our bond. Jo Sam is one of the solid supporter of Mayor Duterte and he created this letter just today, December 30, 2015, to address his feelings towards people who don't believe and dislike Mayor Rodrigo Duterte. Do you agree to this open letter? Share your thoughts below. Comments or suggestions about "Open Letter: Dissecting How a Duterte Supporter Thinks" is important to us, you may share it by using the comment box below.